This weekend, at Fan Days 2.0, Taylor and I spent a great deal of time watching and loving all of the fabulous cosplay. There was so much of it- Black Cat (Krystle Starr looked amazing! ), Flash(there was an entire family! ), Arrow, Arsenal, Lego Hulk (this was genius), Captain Marvel- I could go on! People brought it out, in full force, and it was on point. 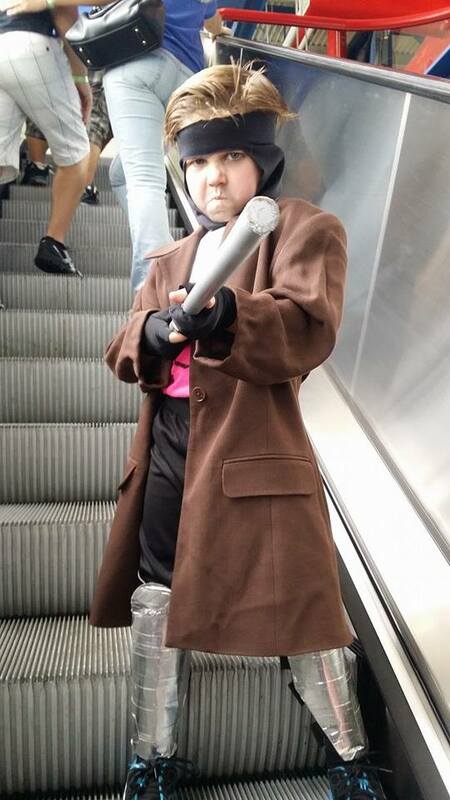 Some of the best cosplay I saw though, was from the younger sect: kids 11 and younger. 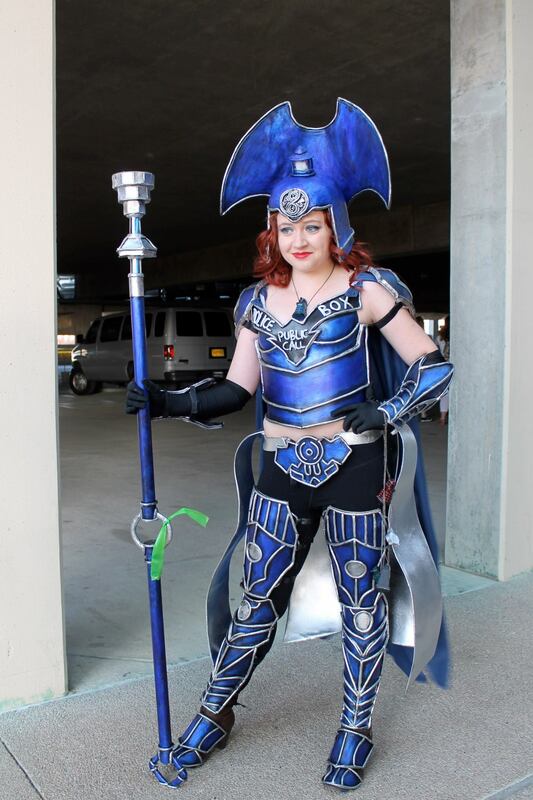 Reese Kirkham, a staple amongst the Dallas con scene, is amazing and known for elaborate and wonderful get ups, and she has not only been doing this for over five years, but she is a mere 11 years old. She also has no signs of stopping. 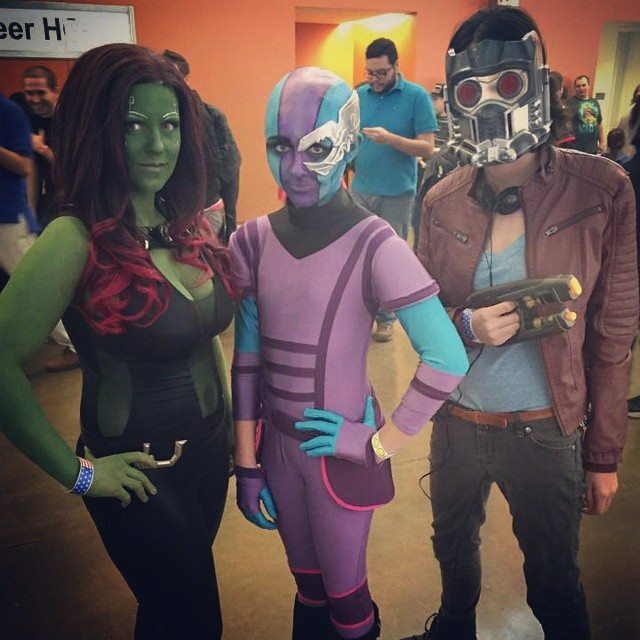 She showed up on Saturday dressed as Nebula from Guardians of the Galaxy. This is no small feat either. It takes a village to get this kid geared up- from her mom, Karri, to other family members: Simon, Lizzie, Taylor, myself and even other cosplayers like Payton Schmall. We are all called upon to input our thoughts on making various pieces go together or how to make things work. She even starts planning months in advance. She’ll think about her costume and the wheels start turning. And for Reese, the more elaborate the better. She wants to make sure you know she put effort and thought into it, but she also had fun making it and will have fun wearing it. More importantly, it’s a character that appeals to her youthful exuberance. She is full of it too. Sometimes she will plan six months out. And the character is someone she becomes on con day. 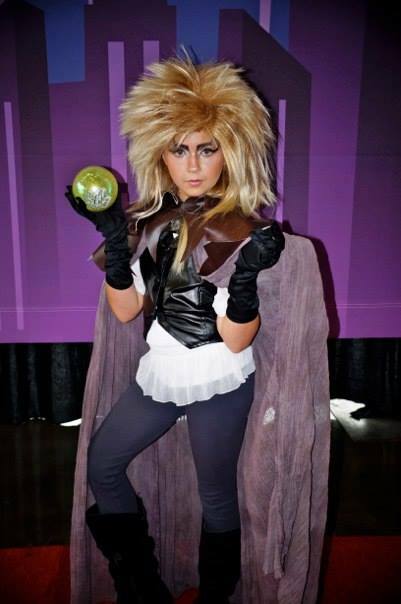 She IS Nebula, or her Borg Queen, or Jareth from Labyrinth. And she keeps them all close. They are still HERS. 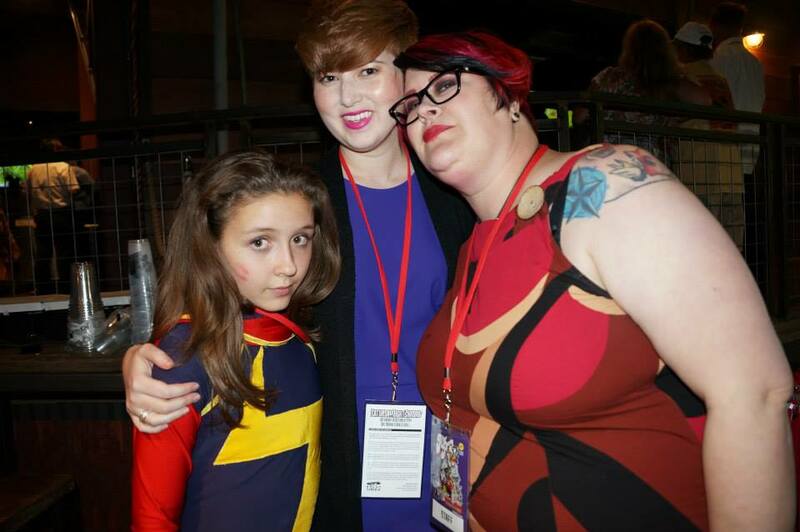 Taylor and I also had the pleasure of meeting for the first time a newbie cosplayer named Charli Williams. 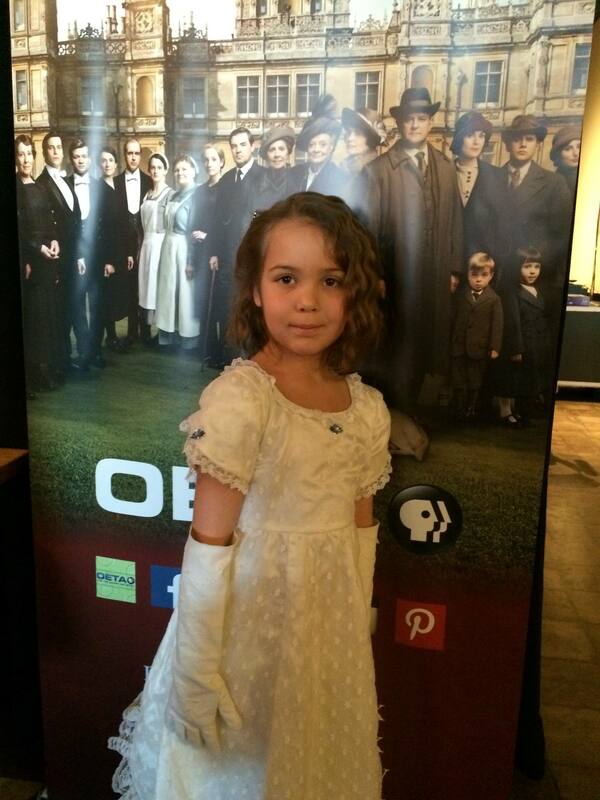 She’s seven, and we met her while standing in line for our photo op for Emma Caulfield. 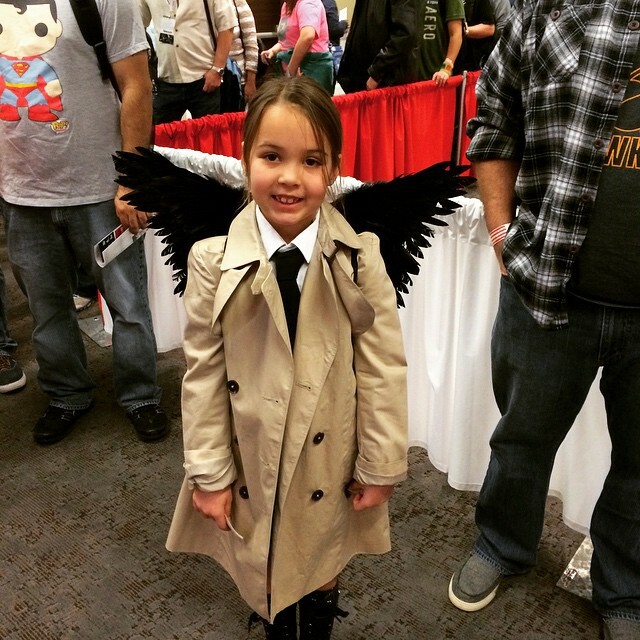 She stole my heart when I saw her tiny black wings out of the corner of my eye, and I knew right then when I saw this Tiny Castiel, I was a goner. Taylor also felt the same about her, since she was so confident and sure about herself. Charli is smart and has a killer smile. We talked more after the kids the costume contest, and it turns out, she really loves all of this stuff. When I asked her what her next big cosplay was, she told me Princess Mononoke, and she pronounced it correctly. She’s been to two cons, and at this one, she had two different costumes. She loves everything from Supernatural (she took a picture with “Baby!”) and she loves Arrow! I spoke her mom Rikki, and she encourages her to be herself and likes what she likes as well. She does edit the bad stuff, to make sure that she isn’t outside her comfort zone, but Charli, like Reese often edits herself. She also has big cosplay aspirations for the future (GoGo from Big Hero Six), and has even attended a Downton Abbey party. I asked her about that, and she told me that she studied how English people didn’t smile, so she posed like that often. I’m truly in awe how wonderfully developed her personality is and am lucky to have met her. I look forward to seeing what she does in the future. One of our other favourite cosplayers we met this weekend was Madden Stahlecker. He’s five. Madden was also in the kid’s costume contest and he was “Classic Captain America.” This boy blew our minds away, merely with the fact that he walked up to microphone and said that “Hitler better watch out, cause Captain America was here!” When he won “Judge’s Choice” in the kid’s costume contest, he took out a flash photo of himself as Cap, and handed it to judge Payton Schmall. What sealed the deal was him whipping out a sharpie and walking up to her and offering to autograph it for her! That was pure heart! Madden also told me that he loves the idea of the hero winning. He mentioned that his current favorite hero is Captain America, but that it changes with “the wind.” Madden LOVES the Hulk, James Bond (he likes to spy on people), Gambit, and Mission Impossible. 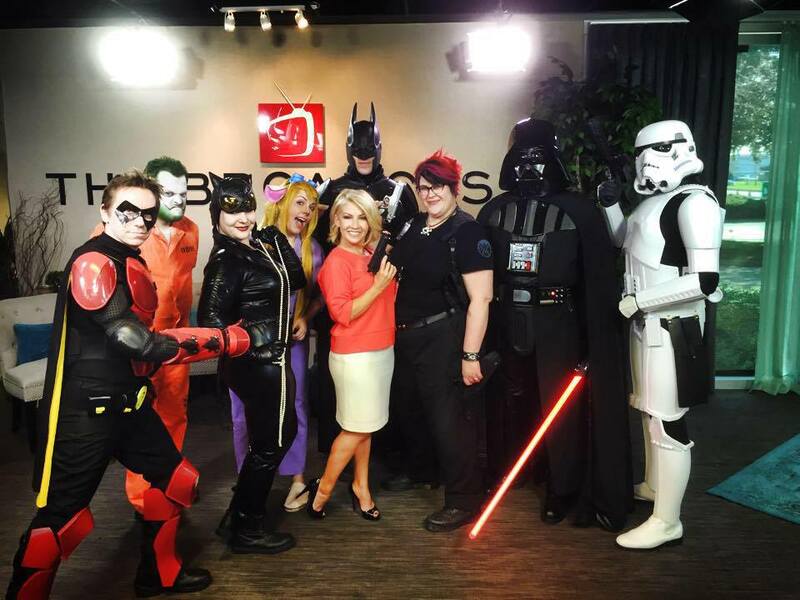 He is a firm believer that you should go big when it comes to cosplay. He is looking forward to May’s convention, and I am too. I cannot wait to see what Madden comes as. This was an eye opening convention. 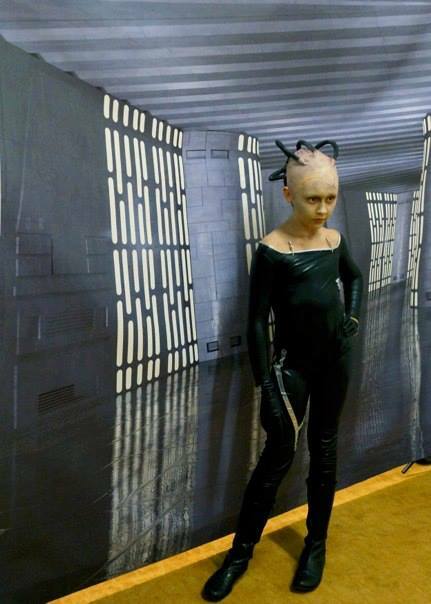 They parents really went all out for their kids, and even some of the adults. One of the younger teens, Payton Schmall came as T.A.R.D.I.S. Payton works with warbla and makes everything herself and her dad is with her the whole time. 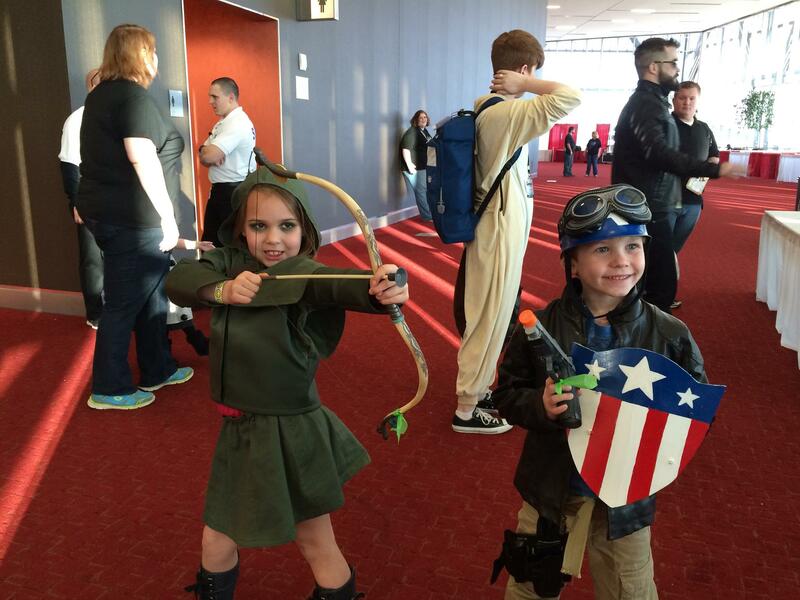 She inspires the younger crowd and the older and watching cosplay at the conventions is half the reason for going. I cannot wait for May! This entry was posted on Tuesday, February 10th, 2015 at 4:42 pm	and is filed under Comics, Events, News. You can follow any responses to this entry through the RSS 2.0 feed. You can skip to the end and leave a response. Pinging is currently not allowed. It was great seeing and working with you Sunday. Much love! « Blu-ray Review: ‘101 Dalmatians’! !